1) Expectations are MOST IMPORTANT! It is important that your practitioner takes the time to thoroughly listen to your concerns and really understand the look you are trying to achieve. A lengthy discussion is sometimes necessary to explain what is possible for each procedure. For example, if you are inquiring about Botox® and have static lines (lines present at rest and not just with motion) one treatment of Botox® is not going to “erase” your lines to the point where you can’t see them at all. Your practitioner needs to explain this and why. Another example would be that just one chemical peel is generally not going to get rid of all your scars and brown spots. Expectations, expectations, expectations! In this industry, delivering what is expected and wanted is very important, but what may be equally important is the delivery of what is possible with the resources available to the provider. If your provider is not able to deliver the results you desire, but they are possible, then the responsible thing for your provider to do is refer you to a different aesthetics provider with the training and expertise needed to deliver the procedure that is appropriate for the desired results. 2) Generally, what the eye visually perceives as ‘beauty’ is dynamic balance and near symmetry. What I mean by this is when our features are in balance, what we see is more pleasing. Many patients seek aesthetic treatments because they do not like a particular feature whether it is their nose, the area under the eyes, earlobes, wrinkles, lips, etc. Some ask for an enhanced feature – such as in their lips – but if the lips are made too big for your face, you are no longer balanced and it is certainly not flattering! The face is like a mathematical equation and there are ratios of where our features are supposed to be for the most pleasing appearance (subconscious or not). For fun, read about the “Golden Rule and Divine Proportion” of the face here: http://www.goldennumber.net/face/. Take a look in the mirror… yes right now. Is one cheek higher than the other? Is one brow a bit heavy on one side? These are very subtle difference that you may have never noticed, but most people are asymmetric. Pull the lower cheek up some to match the other side, pull the lower brow up to the same level as the other. Better, right? Does the light hit your face differently? Now, look at an advertisement in a magazine with a model. Does the model look symmetric or very near symmetric? Are his or her cheeks at the same height? Most models in magazines look visually pleasing due to balance and symmetry – many times with the help of Photoshop and air brushing. Balance and symmetry are most important to achieve with any aesthetic treatment. 3) Injectables can be done and – in my opinion – should be done without looking “frozen”. One of the most common things I hear from my injectable-naive patients is “I don’t want to look like those women on that Housewives show.” Whether you are being injected with Botox®, Dysport®, or some brand of filler, fresh, enhanced improvements are generally desired most. You can achieve these results with open communication of your expectations as well as a trained practitioner. 4) Injectables like Botox® and fillers are great, but futile without good skin care and maintenance. I have talked about my beautiful grandmother to many of my patients through the years. She is gorgeous! Yes, she has fine lines, wrinkles, and sagging skin around her neck and jaw, but she has beautiful skin. Since the time she was a young lady, she always protected her skin from the sun and was always diligent about washing her face before bed and applying some form of moisturizer. She has very limited skin changes in her color and tone that show the effects of long term sun exposure. Her skin color is very balanced without disruption of age spots and broken vessels. If you are spending money on injections and lasers and not using good sunscreen and products to help the health of your skin, then I have not done my job well, and you are not getting the most bang for your buck! Sometimes it is a product we sell in our med spa, sometimes it is not. There are so many great skin care products out there and no, we do not carry them all, and we don’t know about every one of them. I encourage all of my patients to bring in the products they use at home and then together we can build a regimen to best compliment their skin type. Many times I encourage people to use what they have (as I hate to waste good products!) and then build from there. It is very important we know what you are using to limit any duplicate products or cause over exposures which can cause reactions. 5) Sunscreen, sunscreen, sunscreen! It is so important. Pick a good brand with fewer chemicals in it and be sure to have a physical blocker such as Zinc Oxide or Titanium Dioxide for best protection. Chemical sunscreens (if the ingredient is hard to pronounce it is probably a chemical) can still be used, but do not protect as well as a product with or combined with a physical blocker. Here is some great information regarding sun protection: http://www.melanomafoundation.org/prevention/facts.htm. 6) You don’t have to do everything at once but it is a good idea to map out a plan. Talk to your provider about your goals and he or she should discuss the various options you have to achieve those goals. Many times that means more than one product or procedure and many times it is done in more than one visit. There is no magic cream that takes care of every aesthetic concern and no one procedure that “fixes it all”. After you have reached your desired outcome then the discussion turns to maintenance of those results. 7) Each state has different rules that medical spas must follow to practice aesthetic medicine, but sometimes it is not monitored well. Fortunately, most established offices do comply with the law without incident. For example, there are certain procedures that a patient must have a consult with a licensed doctor, physician assistant, or nurse practitioner prior to having it done, such as laser Hair reduction or tattoo removal. That does not mean the doctor or PA/NP has to do it, but they must evaluate you first to be sure you are not at higher risk for complications. Here are some rules and regulations in the state of North Carolina where I live and practice. 8) You are your BEST ADVOCATE. Do your homework. Make sure the office you are selecting can meet your needs. I recommend having a consultation first and never feel obligated to have a procedure done or purchase a recommended product if you still have questions or are not comfortable. It is one thing to feel nervous about a procedure, that is normal due to the unknown, but not having confidence in your provider is another. You need to be comfortable with your provider and your decision. If you have a question, ask! I have had patients ask to see the boxes our injectables came from because they have “heard” about fake injectables. Out of country imported toxins and fillers are a real thing, your provider should always be happy to share this with you if you ask. Also, if you have a procedure done, follow up with your provider about what you like and what you don’t like. Do not feel embarrassed or shy about telling us you are not happy with something or you thought you would have a different result. We want to know your expectations have been meet to the predicted end point. It’s really ok, we would rather help get you to goal than for you to smile and say everything is “fine”. 9) Specials and discounts! Offices run specials from time to time which are great. Specials give you a chance to try out a procedure at a lesser rate for the first time or act as a reward for loyal repeat clients. Many times specials are run seasonally based off what can be done and also based off what discount the office is getting. 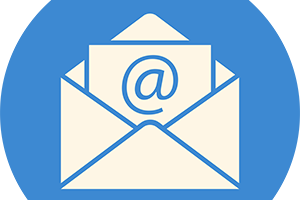 When we purchase Botox® or Dysport® sometimes we get a rebate for us or for you through their loyalty programs. We then tend to run a special for that product at that time. Many patient rebates have expirations on them and we don’t want you to lose them! 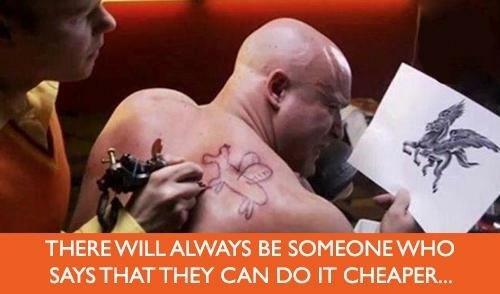 There will always be someone who says they can do it cheaper! Do they limit the number sold? If the site is showing “over one thousand sold” are they going to be able to get you in for an appointment in a reasonable time? Will they have enough time to thoroughly evaluate you and perform a safe procedure? Who will be doing the procedure, what is their experience, and are they licensed? Is there a doctor, physician assistant or nurse practitioner on site for prior evaluation? If the answer is yes, and you have done your homework: BUY! If the answer is no, then keep looking. The lowest cost for a procedure is not always the “best deal”. Experience is worth every penny! 10) Aesthetics can be tricky sometimes. Having an experienced provider that takes the time to listen to you and your concerns will deliver the best results. Your chemical peel treatment or filler treatment may not quite end up looking exactly like the picture in a magazine you are showing your provider but remember, that is not you. You are unique and aesthetics is about enhancing your individual beauty, not mimicking others. It is similar to the idea of going to get your haircut and telling your stylist “I want my hair to look like this”, while showing a picture of someone else, and your stylist responds, “but you don’t have that kind of hair”. Remember… we talked about balance and symmetry. Not everyone can pull off “duck lips”. Actually, scratch that. No one should have duck lips! Excellent article! I particularly like #2 about symmetry. Many times I have seen women who do too much work to their face and they no longer look balanced. It’s nice to know their are skin centers out there that care about the imbalance and not just the money. I look forward to reading future blogs! Thank you for your kind words Krissy!